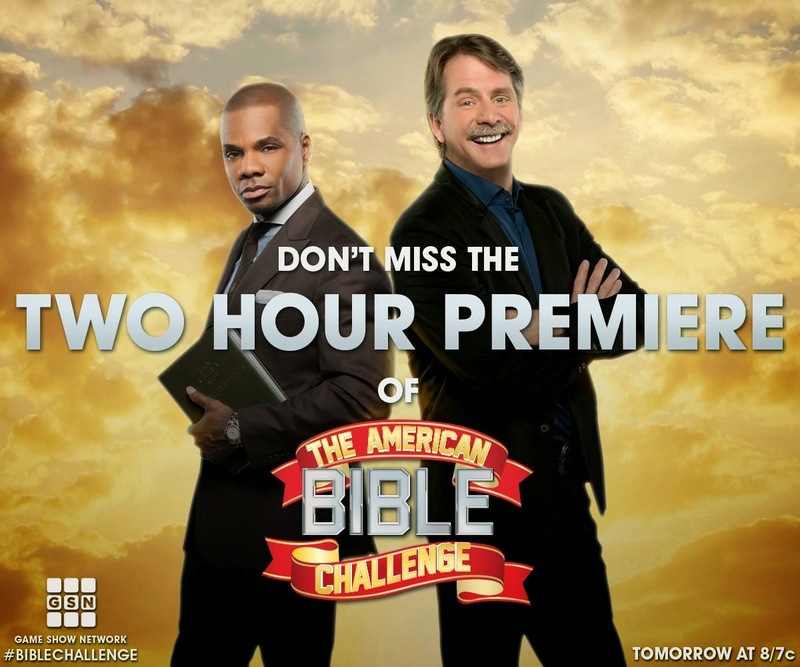 The American Bible Challenge is back for a 3rd season Thursday May 22nd at 8pm/7C on Game Show Network! Did you know all 5 facts? Have you seen The American Bible Challenge? Do you think you would win big if you were a participant on the show? What is your favorite bible verse? I have not seen this show yet but it looks like tons of fun. Here is your chance to win a prize pack. Enter in the form below. Giveaway open to the U.S.A. No P.O. Boxes please. Each household is only eligible to win One (1) The American Bible Challenge Prize Pack via blog reviews and giveaways. Only one entrant per mailing address per giveaway. If you have won the same prize on another blog, you will not be eligible to win it again. Winner is subject to eligibility verification. *Disclosure: This post is sponsored by Game Show Network & The American Bible Challenge. Game Show Network supplied this prize pack. See our disclosure policy HERE.